Droplets, when they drop, they form a unique pattern every time ; Colors, when they mix bring out vibrance ; and when these droplets and colors mix - they give birth to an unknown random abstract. These images are droplets as you may see them innocently or if you think more they may bring their own meaning rather than just being a mere droplet. Its all one's imagination ! 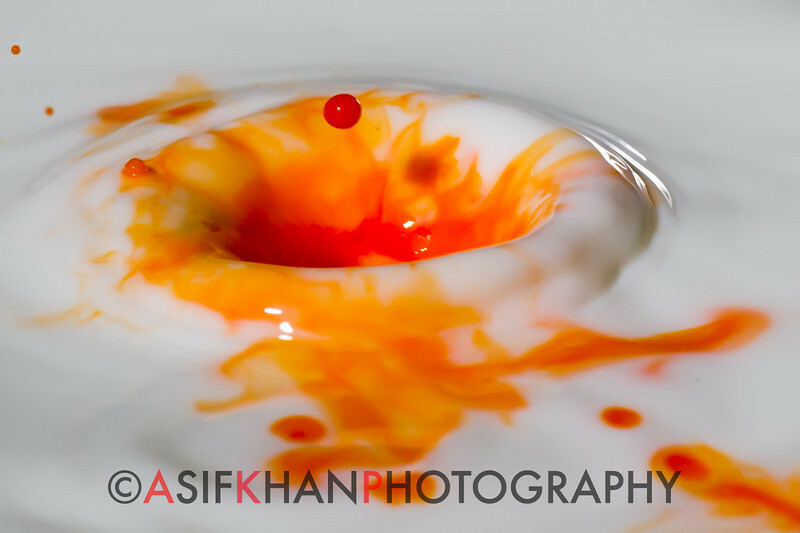 These shots are using high speed exposures with different kind of fluids mixed with food colors. Except for basic exposure, contrast & brightness corrections in Adobe Lightroom and noise reduction using Noiseware no other changes have been made in photoshop or any other photo editing software. These are real shots as shot - Its a beautiful world !